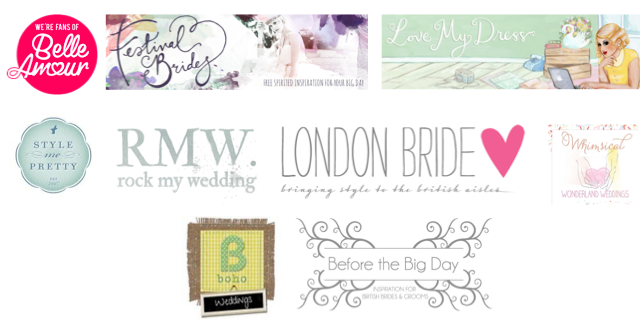 6) London-Bride – The London Bride is a fresh and stylish wedding blog for all those looking for alternative and creative ideas for weddings in the big city. 7) Whimsical Wonderland Weddings – With stylish and beautiful content, Whimsical Wonderland Weddings is all about the couple’s behind the images who get the chance to tell their story. 8) Boho Weddings – ‘Create the wedding you want, not the wedding you’re told to have!’ The tagline perfectly sums up this great blog. 9) Before the Big Day – A great blog for the bride looking for inspirational tips, pics and ideas. SCHOOLS OUT scream and shout! This is where my summer began. I wore my ILG love jumper to go with my fluorescent orange skirt and Nikes (my new favourite colour). A perfect way to brighten the end of a summer term. A summer evening on a Greek island, going into town with my sisters and friends. I wear my jolly yellow ILG dress with this cute fish print mini rucksack and a matching scrunchie in my hair. My jelly shoes make me a little taller and the dress is backless so it shows off my faint Indian henna. Summers bloomin’ so I’m wearing dazzling colours like my ILG rainbow sparkled striped jumper with my simple denim mini skirt. To finish off the outfit I chuck my fluorescent pink satchel over my shoulder which carries all that I need for the day. 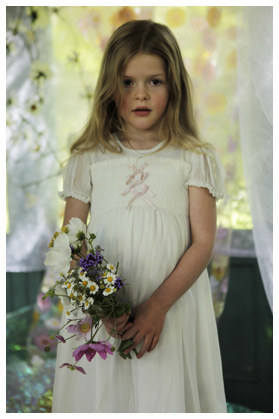 Next month I am super excited to be creating my favourite autumn looks taken from new ilovegorgeous AW13 collection. Watch this space! CALLING ON THE JELLYMONGERS AND THEIR INCREDIBLE EXPERIENCE AT KEW GARDENS! flesh. The fruits are so pungent that they are banned on public transport across South East Asia. My grandfather got so into them that he once ended up in hospital with durian fever for eating too many (and not drinking whisky like locals do to balance it out). I eat all I can get my hands on! If you could create a crazy Bompas & Parr lunchbox, what would you put in it? Candy sticks, pastel finger sandwiches, marbled quails eggs. A lawyer. Doing this is far more fun! Where would be the ultimate place to pull off a Bompas & Parr spectacle? In the stomach of a living whale (without injuring it). What’s been your favourite experiment/project so far? Exploding jellies, and also the Truvia Voyage of Discovery where we flooded the roof of Selfridges to create a boating lake and float-up bar. If you could create a Bompas & Parr ice cream flavour, what would it be? Jelly pebbles, exploding jelly, stripy jelly… you have done it all! Can you still bare to eat jelly?! We keep learning new things with jelly – there are ever more creative challenges. At the moment we are working on filling the Tate Modern’s Turbine Hall with jelly. We’ve worked out the engineering challenges already…. Bompas & Parr have many cool projects coming up that are set to amaze; like the wedding cake explosion service, Guinness tasting and their latest fruity installation, “The IncrEdibles” at Kew Gardens. We had to go see it for ourselves, and loved it so much that we are running a competition to give away a family ticket to Kew gardens including the Bompas & Parr fruit salad boating experience. You can teach your little ones about the weird and wonderful world of edible plants, visit a floating pineapple island and discover the banana grotto beneath. We loved it and we know you will too, so take a sneak peak at our photos below and ENTER HERE! You are from a fashion design background, what made you start up molly-meg? Since I was six years old I have wanted my own shop – except then it was an old fashioned sweet shop! 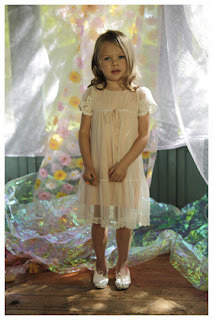 I started molly-meg in 2009 whilst working as a childrenswear designer in London and New York. I came across so many undiscovered designs for children from all over the world and I became hooked on selling children’s vintage chairs when I spotted a Costco booster seat at the Rose Bowl flea market. What do you enjoy most about your job? I get to work with designers who make bespoke items for me, which helps make molly-meg different and more unique. I recently came across the work of Sincerely Louise who design and make beautiful knitted animal heads to hang on walls. These are taxidermy without the guilt and far nicer! What do you get up to when you aren’t working? I enjoy wandering around my favourite haunts like Columbia Road flower market on a Sunday and spending time with my two year old niece Tilly. I also love to travel and am planning a US road trip later this year with a friend who is researching a book about artisans of America. Describe your ideal summer party… A huge picnic by a lake in the countryside, with good music, a barbecue, and swimming. An old school fair with games like splat the rat and a coconut shy. And finally…do you have a favourite ilovegorgeous piece? 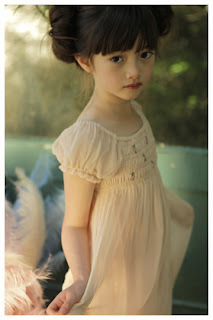 I have been a fan of ilovegorgeous since the beginning and I love that the bridesmaid dresses include some of the classics like the Marie Antoinette dress which is true fairytale dress, perfect for twirling.